Finally, the perfect gift for any music lover -- a House of Blues Gift Card is redeemable for food, beverage, gratuities, tickets or retail merchandise only at participating House of Blues clubs. (The Boston, MA House of Blues location does NOT participate in the House of Blues club Gift Card program.) Available in $50, $75 or $100 increments. 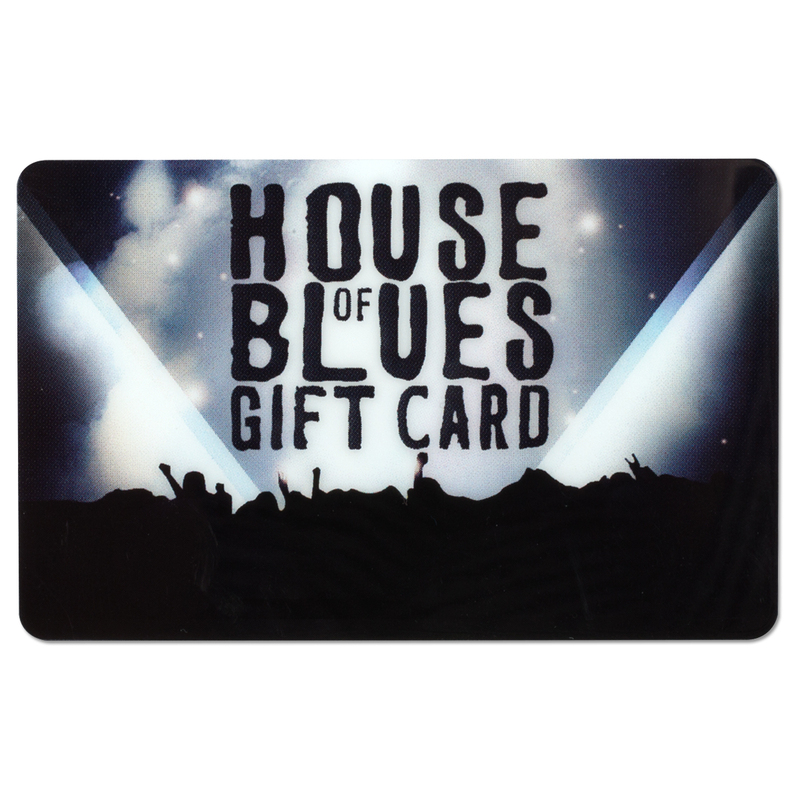 Please note: this is a gift card for use at House of Blues clubs only - it cannot be redeemed for merchandise in the online store. There are no exchanges or returns on this item.